Knowing where to invest in a buy to let property is one of the hardest decisions to make when trawling through the likes of rightmove and zoopla, here at Clearhaven we believe our home town of Colchester to be one of the best places to buy a rental property! 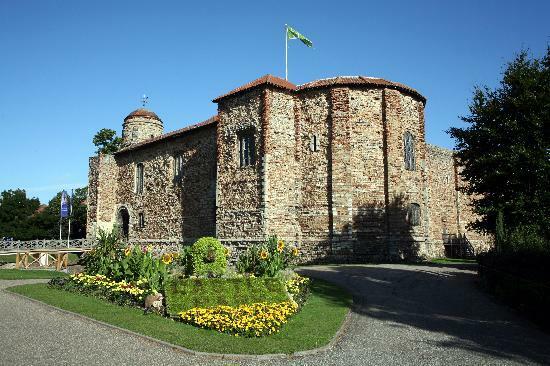 Colchester is a thriving town, with fantastic shopping facilities, restaurants, bars and theatres, the town is soaked in history Colchester’s amazing Roman past continues to be uncovered. In 2004, the only Roman Circus in Britain was discovered to the south of the town, and is now open to the public as a museum. In 2014, the Colchester Archaeological Trust unearthed a hoard of Roman silver and gold jewellery and coins, now on display in Colchester Castle Museum alongside a wealth of Roman Artefacts. Daily Guided Tours of the Castle will also show you the foundations of the Roman Temple of Claudius, and a recent discovery of the Temple’s arcade in front of Colchester Castle is soon to put on public display. Colchester is also home to the University of Essex bringing academics who are world-leaders in their field, conducting life-changing research that has real impact on global issues in politics and social policy. Being one of the Colchester Estate Agents, these are just some of the reasons we believe Colchester to be one of the best places to buy a rental property, the town is popular with first students and families alike, with no shortage of good tenants, Superb rail links to London make the town an ideal place for commuters also Two train stations – Colchester North and Colchester Town stations both run regular and frequent trains to London from 04.43am. The last train back is at 00.18. There are plentiful direct trains as well as ones that stop at smaller stations en route, with the speediest journey time from Colchester to London Liverpool street at a mere 49 minutes!